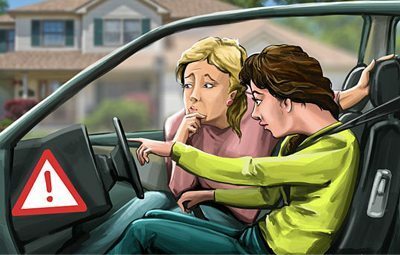 Having a sound knowledge of the Highway Code is an essential part of learning to drive. If you want to be successful in passing your test and gain some independence on the road, it’s really important that you are familiar with all the different road signs.By getting to grips with what each sign means, you’ll not only increase your chances of success in the driving test, but you’ll also be well on your way to being a safer, more confident driver.Of course, being familiar with the various road signs isn’t only important for new drivers, more experienced motorists should also remember to revise their road signs from time to time.Let’s take a look at some of the most important road signs in Britain, to help you make sure that you’re up to speed with the meaning of the various shapes and symbols. Even with the tube, a great bus network, and all those Boris bikes, sometimes you’d rather just get in your car and drive through Streatham. Or sometimes you might need to get somewhere which means using every single form of transport available for a journey which would only take 10-minutes by car.Driving is just so much more enjoyable than public transport. Each year, 3500 people are killed on the UK's roads. New drivers are involved in up to 1 in 7 vehicle accidents causing injury or fatalities. For this reason, the Government introduced the Hazard Perception Test as part of the UK driving test in the belief that it would help to reduce the amount of road deaths and injuries occurring each year.Here we look at 3 reasons why the Hazard Perception Test is such an important consideration for learner drivers. The roundabout. To some a tool to ease traffic flow and increase road safety, to others a thing of nightmares.For those who see a roundabout sign and get into a cold sweat, rest assured that you are not alone and a roundabout really isn’t as scary as you might think. Learning to drive and passing your test is up there as one of the most stressful things in life you can do. But the rewards can be significant.Mobility equals independence and becoming a competent driver opens a world of possibilities from job opportunities to leisure time. With dozens of driving lessons behind you, here is the chance to put it all into practice, impress the examiner and grab that glory.So, in no particular order, here are seven tips to help you pass that test.